The conditions of carriage included in the “Framework Regulations of Skiarena Szrenica” are a part of the carriage agreement. They apply to the carriage of persons and goods and the code of conduct in the area of cableways, ski lifts and ski routes. The execution of the carriage agreement, and thus the effectiveness of these conditions of carriage begin upon entering and finish upon leaving the cableway equipment intended for use. The transport by a chairlift or ski lift (hereinafter referred to as cableway transport equipment) owned by Skiarena Szrenica will be possible only on the basis of electronic proximity skipasses or other transponders from SKIDATA used for charging and control, hereinafter referred to as Skipasses. The rules governing the purchase and the use of Skipasses have been specified in § 2 of these regulations. The entrance to the ski resort as well as the use of a skipass means having read these regulations and other applicable regulations in force in the resort and the acceptance of their provisions. People who use the services of the cableway transport and any persons staying in the operation area of Skiarena Szrenica owned by Sudety Lift SP. z o.o. are required to familiarize themselves with these regulations as well as to exercise due care and to act without causing any risk to the safety of carriage or any threat to human health or life. Any persons staying in the area of ski station should strictly comply with the following, intended for passengers: prohibitions, instructions and guidelines that are shown on the signs and boards with symbols-pictograms as well as prohibitions, instructions and guidelines expressed verbally by the staff of the ski station. Any persons staying at the ski station are responsible not only for their own behaviour and underage children in their care, but also for handling of the sports equipment, including ski and snowboard equipment that they use. 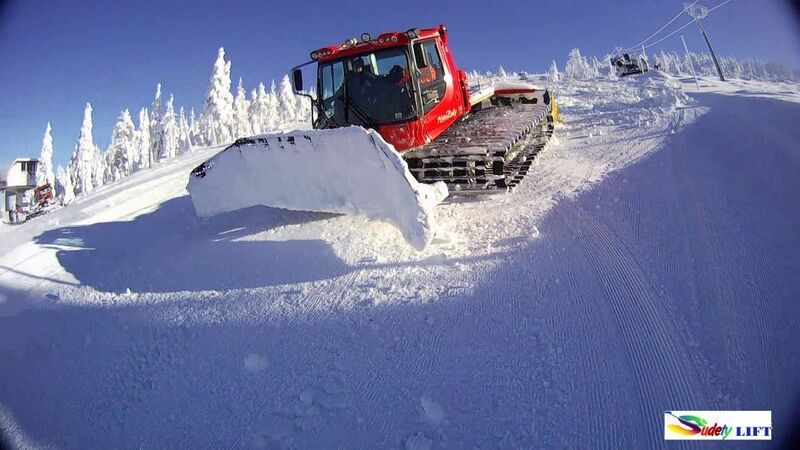 Rescue services and care for your safety in the area of Szrenica Skiarena managed by Sudety Lift Sp. z o.o. 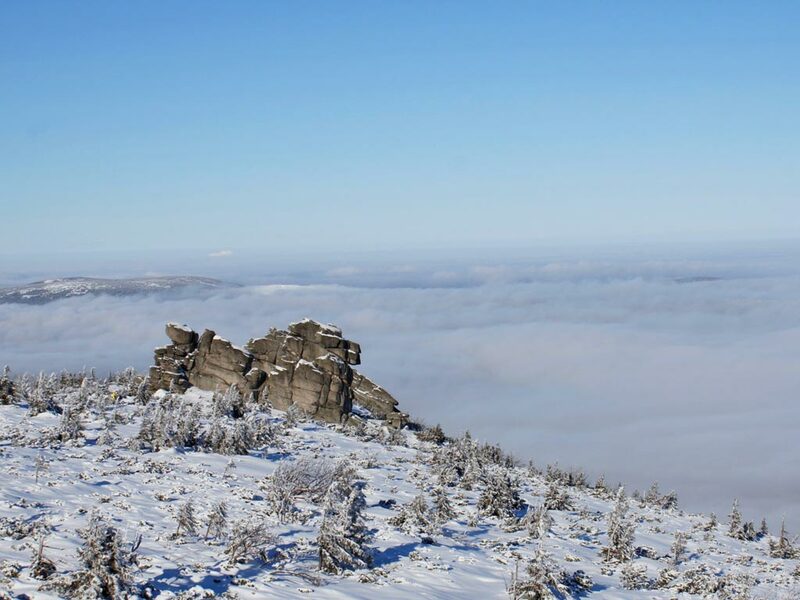 are the responsibility of the Mountain Volunteer Search and Rescue, Karkonosze Group in the summer, and of the Karkonosze Specialist Rescue Group upon a signed agreement in the winter. 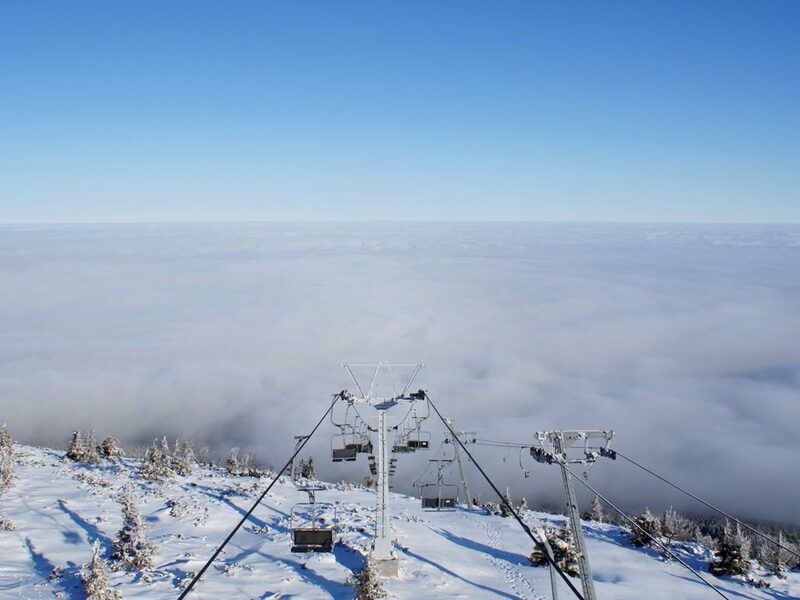 A skipass can be purchased exclusively from ticket offices of Sudety Lift. A deposit is collected for the magnetic hands-free cards. The skipasses are the property of Sudety Lift. At the ticket offices and restaurants near the lower station of the ski lift to Szrenica you can receive a refund of the deposit in return of a skipass. VAT invoices for acquired skipass to travel by rail and ski lifts may be received only on the basis of a receipt at the ticket offices where they were purchased. The charging system applicable at the Skiarena Szrenica ski station allows for the use of cableways and ski lifts upon the purchase of a temporary skipass or a single skipass to use the cableways and lifts within a specified time period or for a pre-determined number of rides. A temporary skipass authorizes to use cableways or ski lift with unlimited number of rides, within the period of its validity. Information about the validity period of a skipass is displayed by the reader at the gate and is printed on the skipass upon its purchase from the ticket offices of the resort. A temporary skipass is personalized at the time of its first proximity to the reader of the gate during the validity period of the skipass. The only person authorized to use a temporary skipass during its validity period is the person who personalized the skipass. There is no way to swap, extend or change the validity period of a skipass. The temporary rights acquired along with a skipass are non-refundable except as indicated in section IV, point 2. Every time upon issuance of a temporary skipass, there is a refundable deposit charged in the amount of £10 per a skipass. The deposit is non-refundable in the event of loss or visible mechanical damage to the skipass. A skipass is to be placed in a pocket located on the left side of your clothes – in the left breast pocket, on the left shoulder or thigh. Any items that may interfere with the reading of the skipass (e.g., mobile phones, car keys, credit and debit cards, etc.) should be placed on the right side of your clothes. When using the gates, you should have only one skipass on you. The Ski station is not liable for the consequences resulting from the failure to comply with this instruction. You should stay within the reach of gate antenna until the reader confirms the validity period of your skipass. The confirmation of permission to pass through the gate and reading of the skipass is signalled by appropriate message on the display of the reader and green light flashing on the gate housing. When red light is flashing on the gate housing, it means a prohibition to pass through the gate. Any complaints in case of unreasonable prohibition to pass should be reported to the personnel along with the presentation of the skipass. After passing through the gate on the basis of a temporary skipass, the skipass is automatically temporarily locked, preventing the use of the same skipass by others. Please pay attention to the sound signals and messages displayed by the gate reader. Bad ski conditions and weather, and a large turnout at the cableways and lifts does not constitute grounds for a partial refund for a temporary skipass. The refund of unused temporary skipass is possible only due to the downtime of all cabeways and lifts lasting more than 1 hour for reasons attributable to the Skiarena Szrenica ski resort, due to blackout or as a result of an accident or disease preventing the skipass user from the use of cableways. 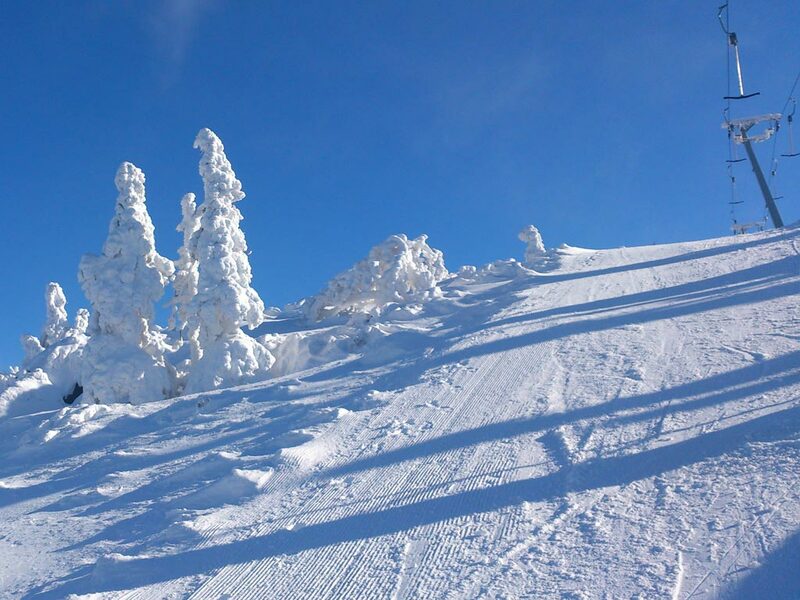 In order to receive a refund in respect of any accident or disease, you must submit a copy of the accident report from the Ski Rescue Station, the Mountain Volunteer Search and Rescue or a medical certificate. Such refund can be received at the ticket offices. The refund for unused temporary rights or passes is granted in proportion to the validity period of the skipass. The refund for unused single skipasses is granted for unused single skipasses. The deposit is non-refundable in the event of loss or visible mechanical damage to the skipass. Any complaints are considered solely based on the proof of purchase – receipt. After using a temporary skipass in the reader of an exit gate, any complaints regarding the nature of the issued temporary skipass will not be considered. During each pass through a gate, pictures are taken of the person that uses a skipass. The pictures are used for control purposes. The use of a skipass is equivalent to your consent to the use of your image for control purposes and to its saving in the access control system for the validity period of the skipass. The use of a skipass by an unauthorized person and their passing through the gate is treated as an attempt to cheat to achieve unpaid free carriage. Such person will be denied access to the cableway or ski lift by the staff. Skipasses must be presented on request of the staff or inspection bodies. A refusal to present a skipass results in blocking the use of the carriage service until the skipass is verified. 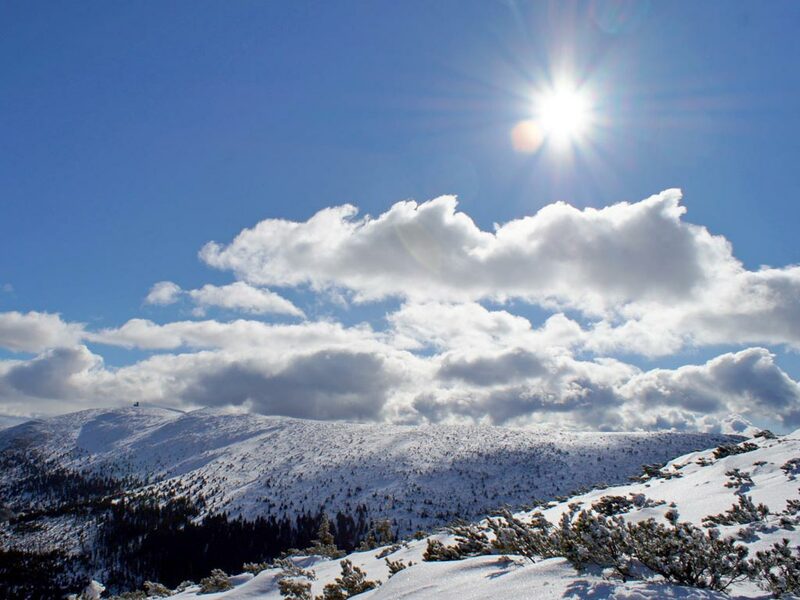 Anyone who breaks the rules and regulations effective on the area of Skiarena Szrenica ski resort may be removed from the site by authorized security personnel. We reserve the right to change prices and these regulations. The use of cableway transport equipment and ski routes takes place during the opening hours of the station after its entry into service, on the basis of a valid skipass. passenger complied with applicable rules and conditions of carriage and instructions given by the staff of Sudety Lift S. z o.o. aimed at security and order. carriage has not been disturbed because of circumstances that have occurred for reasons beyond the control of the cableways owner. The reasons beyond the control of the owner should be understood as blackouts by power plants and any circumstances preventing safe carriage of passengers, such as: wind, snowstorm, limited visibility due to dense fog, avalanche risk, dangerous tree falling. 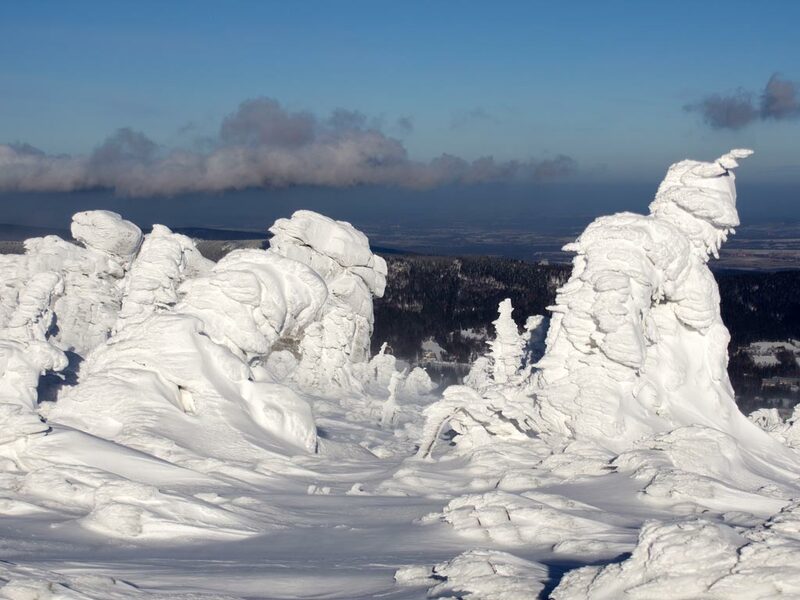 Persons authorised to control skipasses include all employees of Sudety Lift Sp. z o.o. and security staff. No replacement skipass is issued for a lost or intentionally damaged ticket. Sudety Lift Sp. z o.o. reserves the right not to refund the fees paid, if the carriage failed to occur for reasons attributable to the passenger. After a successful or unsuccessful attempt to use a skipass for the purposes of unauthorised carriage, it is subject to cancellation without compensation. free carriage of hand baggage, sports or tourist equipment if the carriage can be provided compliant with the safety rules and, in particular, provided the carried items do not stick out beyond the gauge of the cableway or a ski lift. adhere to these regulations, the rules of order and staff’s instructions as well as the mandatory and prohibitory signs or pictograms. A passenger, despite holding of a valid skipass, has no right to demand the carriage if it is impossible because of the weather conditions or intervals between the planned rides or if the operation of cableway transport equipment is impossible for other reasons. Any person under the influence of alcohol or narcotic drugs and psychotropic substances are absolutely prohibited to use cableway transport equipment or ski routes. If the ride fails to be carried out due to the fault of a passenger, the passenger may not claim a refund for the unused time period, except when the passenger has not been able to use the skipass because of an accident associated with winter sports on the routes provided by Sudety Lift Sp. z o.o. After any accidents related to winter sports in the case of multi-day skipasses, a passenger receives a refund for the unused time period after submission of the skipass and medical certificate of the injury. The refunded amount depends on the type of fare purchased. Any goods or baggage may not be accepted for carriage. A passenger’ behaviour should not cause any risk to the ski lift operation safety, other passengers or any third parties or interfere with the order and course of the ride. A ride is deemed to be started when a skipass has been validated in the entrance device (gate) and a passenger entered the platform in order to get on the ski lift. After you pass the gate, you need to stay in a designated get-on area and wait for the tow of a drag lift. Passengers can get on only under the supervision of staff supporting the station; when they need assistance with getting on, they should inform about this fact. Poles should be held in one hand. You need to follow the designated route, never go slalom-like on the route of the climb. You must neither catch bars of a drag lift nor get off along the route of the climb. The bar of a drag lift should be calmly let off in the clearly marked get-off zone. When getting off, you need to leave the top platform in the prescribed direction. You must not stop on the top platform (in the getting off area), you need to leave it as soon as possible. A drag lift may be stopped due to a failure or bad weather. After the drag lift is stopped during the ride, you must wait until it starts or for other instructions from the staff. A passenger’ behaviour should not cause any risk to the cableway operation safety, other passengers or any third parties, and not interfere with the order and course of the ride. A ride is deemed to be started when a skipass has been validated in the entrance device (gate) and the passenger entered the platform in order to sit on the chair. Passengers can sit on the chairs only under the supervision of a stuff supporting the station and when they need assistance with getting on or off, they should inform the staff about this fact. Passengers with disabilities who are not able to get on the chair of the chairlift and get off it, need to report their intent to use the chairlift to the chairlift staff in order to provide assistance during their getting on and off. The safety rail closing each chair must be closed on the seats at the beginning of the ride and opened just before the getting off zone, according to the instructions shown on the plate with the description, in both cases considering passenger safety. It is forbidden to get on a chair with a backpack on your back. At the time of the ride, your hand baggage is to be held on your lap. 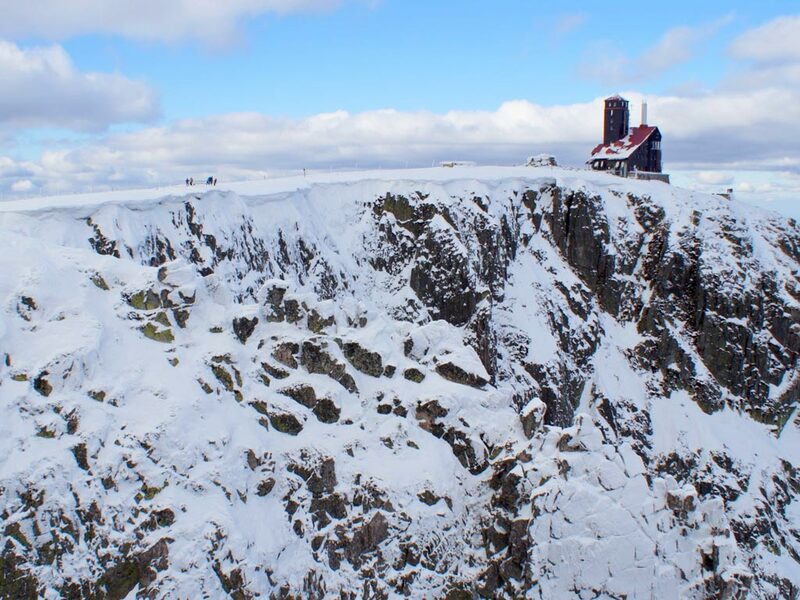 Depending on the snow conditions, the cableway owner may request that the ride takes place with fastened winter sports equipment. 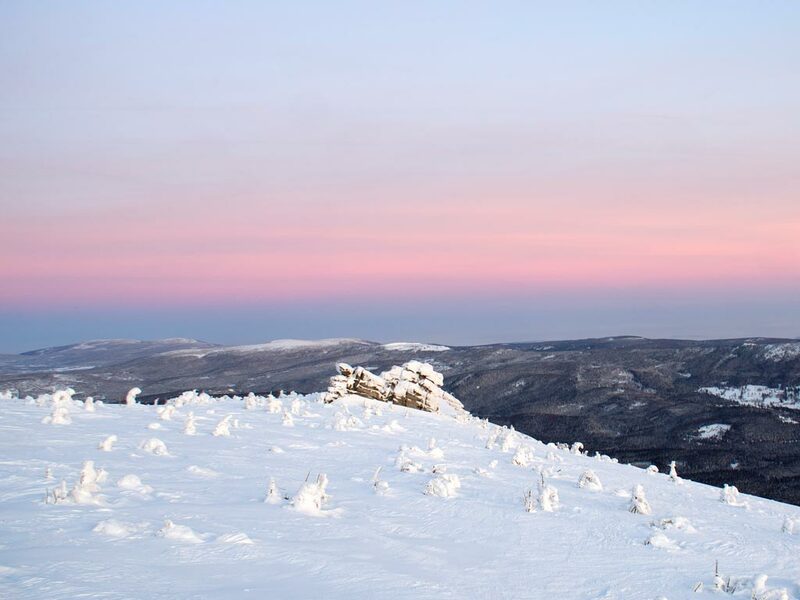 Such equipment includes: skis, mono-skis, snowboards, swingboards, telemar skis and winter shoes and snowshoes. Passengers with a snowboard or swingboard should sit on an outer seat. Pedestrians are carried both upwards and downwards by Szrenica I and Szrenica II cableways, while passengers with winter sports equipment fastened to their legs – upwards only. 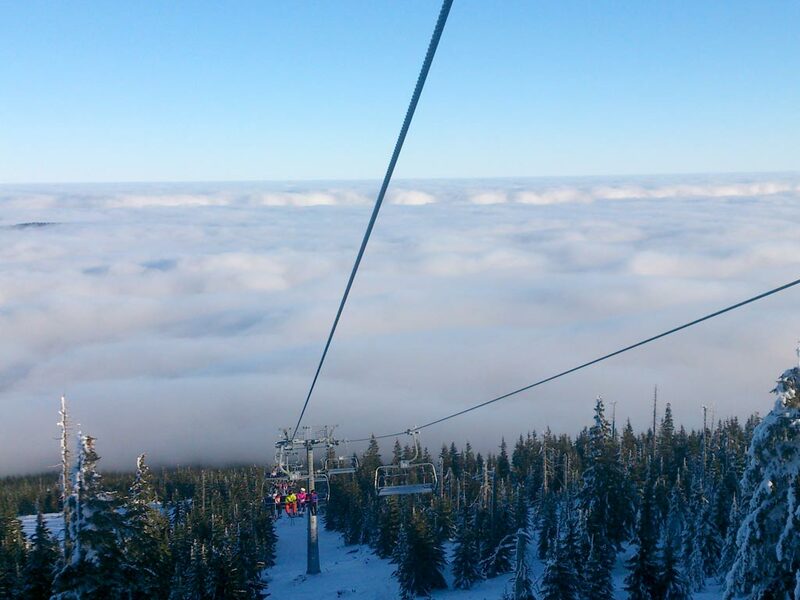 Karkonosz Express cableway transports passengers with winter sports equipment fastened to their legs upwards only. The cableway may be stopped due to failure or bad weather. After the cableway is stopped during the ride, you must wait until it starts or for other instructions from the staff. Children below 125 cm of height can be transported on the chairs only when accompanied by an adult. The accompanying person must be able and ready to provide any necessary assistance to the riding child. Children sit on the outer seats of the chairs. Any loose-hanging garments and luggage and ski equipment (ropes, ribbons, etc.) should be secured against catching by elements of the seat. Any person who is skiing or snowboarding, if under 15 years of age, in accordance with the applicable regulations is required to use protective helmets while skiing or snowboarding, meeting appropriate technical requirements. All skiers and snowboarders are required to move along designated and open routes only. Routes are designated by natural borders such as forest edges, edges of embankments or marked with nets, fladries, restriction signs – white arrows against the background determining the difficulty of the route and other. Skiers and snowboarders should also expect to see and steer clear of other obstacles on the route, such as fire hydrants and snowmaking system, lighting lamps and other artificial obstacles. When skiing or snowboarding at night or in the evening, you have to use lit active routes only. Behave in such a way so as not to endanger or harm any other person. Go downhill at a speed tailored to your skills and the type and condition of the route, weather conditions and traffic. Choose such a track so as to avoid the event of crashing with another skier, located in front of or next to you. Overtake only at such a distance that will provide the overtaken with sufficient space for all their manoeuvres. Enter the downhill route or, after you stopped, start again, only after checking whether this can be done without any risk to yourself and others. Avoid stops on the route, especially in places where it gets narrow and in the areas with limited visibility. After a possible fall, you must leave the track as quickly as possible. Go up and down only outside the boarders of a ski route. Respect skiing signs located on the ski slope. If you notice an accident, anyone who is nearby must protect the place and help the victim. Adjust the rules of moving along with the instructions of emergency or technical services. Each participant of an accident; the perpetrator, the victim or witness is required to provide the emergency personal with their personal data. It is absolutely required to read these Regulations, the Skiing Code including applicable rules in force on skiing routes established by the International Ski Federation (FIS) and to comply with these principles and rules when you use the cableways and ski slopes. When you see an accident, you should report it to the lifeguard on duty or to the staff. Persons staying at the stations of cableways, ski lifts and ski routes are absolutely obliged to give priority pass to any teams carrying out rescue operations. Emergency vehicles: rescue services, police, wildlife protection services – with light signals in blue and at the same time sound signals with variable tone. Vehicles of ski station staff – equipped with warning lights in yellow and sound signals. People on a skiing route are required to facilitate pass of an emergency vehicle, giving it way and obeying instructions of its crew. A passenger is liable for caused damage or pollution of facilities and devices. Any passengers and persons using a ski station are obliged to get familiar with the template prohibitory and mandatory signs as well as pictograms used at the station. Sudety Lift SP. z o.o. is not responsible for the consequences of any accidents, traumas, injuries caused during the use of ski slopes and cableways in people not complying with these regulations. A police officer performing their duties has the right to use the cableways without waiting in a queue. putting any notices, adverts and captions without authorization in the area managed by Sudety Lift Sp. z o.o. trade or other services provided without the consent of Sudety Lift Sp. z o.o. Any violation of these regulations may result in legal liability.